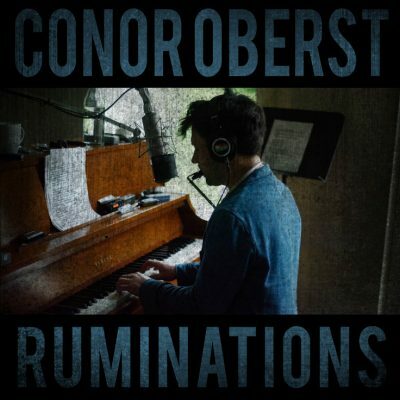 Conor Oberst’s talent as a musician has been established for so long that it’s amazing that he can still come out with new material that has his same incredibly distinct style and still flows across with an emotional prowess whose equal you honestly may never find anywhere else in your lifetime. And while the music itself carries along well, it sits very much in the background of the defining feature of Oberst’s music. His lyricism. The beautifully rhyming words have this weird attribute of being exactly what needed to have followed the line before and being the one you never would have seen to put there yourself. This album feels like Oberst is acknowledging and emphasizing this aspect of his music. The band has been sent on vacation while he sits around with nothing but a guitar, a piano, and his harmonica peeling away yet another layer of his soul. If he keeps it up he may one day peel his way right into the raw, sensitive ectoplasm we’re all running around looking for. But this introspective voyage Oberst has been on has two very different sides lying to his left and right. On “Gossamer Thin” he has this verse that goes, “She likes the new pope, She’s not scared of hell, They meet once a week at a secret motel.” And while it’s actually really charming and oddly heartwarming to think about a young fling the pope is caught up in, the characteristic, heartbroken tone Oberst has always had gives the scenario this existential import that only he can manage. This bittersweet feeling of a happy situation being sung about in a way that drags your mind inwards. His voice has this grounding effect when paired with sweet lyrics but when Oberst dips his feet into the black pool the tone keeps him floating at the top instead of drowning in it. On “Counting Sheep” he sings, “Temperature’s cool, Blood pressure’s fine, One twenty one over seventy five, Scream if you want, No one can hear you.” While the lyrics sung in any other way could come across as too much, his realist, matter of fact tone has the ability to point you towards his acute sense of ennui without forcing you down to that low, twilit setting where all the beauty and all the terror in the world is born.